Nigel Samuel, a 43-year-old farmer of Lowmans (Windward), died after falling off a wall at a neighbourâs two-storey residence. Pancita told SEARCHLIGHT that her brother was drunk at the time of his death. âHarden â that is de fus ting ah could say, because he nah hear,â Pancita said. âEvery day he ah drunk, no care how much you talk to him, ah de same ting he ah do,â she continued. Pancita said that she spoke to her brother about his drinking, but to no avail and his response, according to her, was that he would rather drink rum than eat. She told the story leading up to her brotherâs death, saying that he had gone to help do some chores at a neighbourâs home on Monday, December 24. He was invited to return on Christmas Day, Tuesday, for lunch, Pancita said, adding that when she looked over, she saw her brother sitting on the wall. âSo me say âWha par Nigel ah dey over dey ah sit down â so he must be drunkâ,â she said before leaving her home. Soon after she got a phone call, Pancita said, to inform her that her brother had fallen off the wall and died. âWhen I went over there, I met him on his back lay down,â she told SEARCHLIGHT. The incident occurred around 3 in the afternoon, Pancita recalled. Despite their problems, she said that she had a good relationship with her brother. She said that he was helpful and would often be called upon by people in the community to assist in chores around their homes. The death came as a shock to her and the rest of the family. âWhenever he got ground provisions, he would bring; he gone now, so nobody to bring for us again,â Pancita said. She said that he lived alone and had no children. Nigelâs death is the second violent death to have occurred in the family in the last two years. 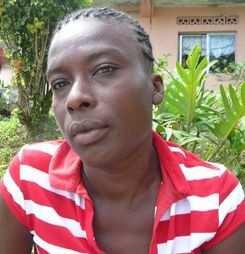 Back in 2010, Pancitaâs first cousin, 54-year-old Adrian Samuel, died after being stabbed. And like Nigel, Adrian was also described as a heavy drinker and was reportedly drunk at the time of his death.